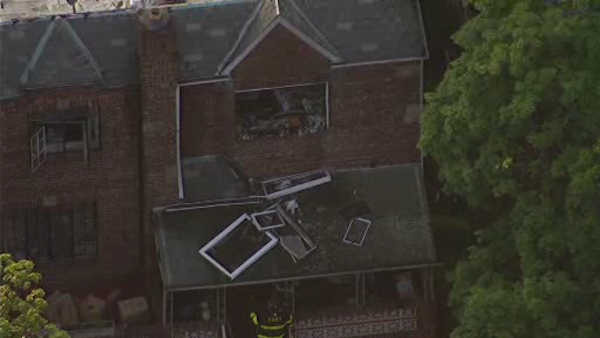 SHEEPSHEAD BAY, Brooklyn (WABC) -- A third-alarm fire burned through a Brooklyn building early Monday. The heavy fire broke out inside the three-story building on Voorhies Avenue in Sheepshead Bay just before 1:30 a.m.
At least seven people were injured. The fire was placed under control, but the building suffered heavy damage. The Red Cross responsed to the scene to offer assistance to anyone who may have been displaced. Voorhies Avenue from Ocean Avenue to East 23rd Street was closed to vehicular traffic while firefighters worked to put the fire out.